With over 300 Members, the St. Louis Chapter of the AMA represents Fortune 100 and 500 companies, academia and non-profits of all sizes. Sponsorships provide an excellent way to meet decision makers in companies and marketing consultants, and offer an opportunity to enhance your company’s exposure and reputation. What better way to obtain visibility for your company than through an internationally recognized professional marketing association? Sponsorships can start as low as $100 and are a great opportunity to connect directly with the folk you MOST want to talk with. Meeting Sponsors are encouraged to provide door prizes or free coupons for their products. 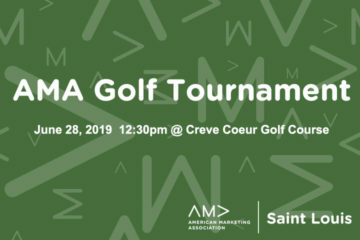 We also offer sponsorship opportunities for a variety of special events that AMA-STL hosts each year – from the Golf Tournament to Annual Conference, Networking Socials to targeted Special Interest Groups. 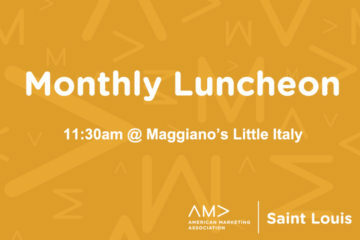 For more information on all of the opportunities offered by AMA-STL, please contact our Sponsorship Chair.